filmed by you and edited by us. With our experience and attention to detail and our SD900 Panasonic video cameras, voted best camcorder by numerous reviewers, plus a highly skilled team of creative editors, is it any surprise that we make the best film it yourself wedding videos. check it out our HERE for a more detailed explanation. Contact us with your requirements and make your booking. We will then send you all the information you need to shoot a great video. We deliver the cameras to your door. It's time for your friends and family to make a great wedding video like only they can with our help and easy to follow guide. Watch as they let their inner director emerge. That’s right, you do the shoot, we do the shoot, lets all do the shoot, shoot! We take your footage and using our editing know how, create collaborative masterpiece. You receive your cameras usually on a Wednesday two to three days before your wedding, so plenty of time to familiarize yourself with the equipment and our simple tutorials, which are packed with loads of tips and tricks for filming a great wedding video. The video tutorials give you simple instructions on how to use the cameras, plus how and what to shoot at the wedding. just follow our guide and you cant go wrong. We can also arrange a one on one consultation in person or via Skype. If you opt for our standard package + videographer. Upon arrival he will, be on hand to supervise and direct your volunteers. With this scenario you now have three people shooting your wedding video, your two volunteers and our professional videographer. He will be your main cameraman and will direct your filmers on exactly where and what to shoot during the formal parts of the day. The rest of the time he will give them a free hand to do what they do best, that is filming your friends and family having fun and being themselves. You now have a fantastic record of one of the most momentous day in your life, including everything leading up to the wedding. The day itself and the following day. filmed entirely by you and your friends which will inevitably include all those intimate moments only they can capture. Have you ever wondered why some traditional wedding videos lack the charm and humour of the home made wedding video? Why not just have my friends film my wedding video then? They entirly can, on the other hand it may not be entirly practicle in certain cases That's why we offer the option of including a videographer with your standard package. When it comes to the informal stuff your friends and family are the experts When it comes to the formal look, a professional videographers bring this to the party. 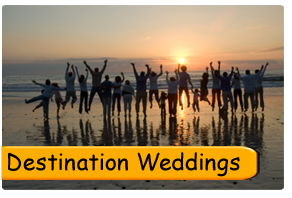 Why not have a well edited, truly sentimental video of your destination wedding staring your guests. Our camera can be taken abroad for an extended duration to capture the memories and people at your wedding. Our services extend to editing additional footage caught on personal camcorders, camera phones and other devices, so your video will include the scenes that are important to you as well as all the 'behind the scenes' fun and antics. £575 All in for the standard package ...Only possible when you film your own wedding. Our comprehensive guide will be sent to you for your selected camera men to help them capture some great footage. We will also be available on telephone or for a video chat via Skype should any problems occur. Get in touch to discuss your requirements with us today. With our advice and editing your DIY wedding video will be great. Plus any additional events you may have planned. We will liaise with you and send you a tutorial to ensure your selected camera men get some great shots on the day and our professional videographer/cameraman-director will be advising and directing you filmers so you can relax and enjoy the day. Remember, you can also send us additional footage from camera phones, personal camcorders and any other devices. We will then refer to your editing notes when editing to ensure we include the people and moments that are important to you as well as the funny and priceless scenes that can not be predicted! We will edit the footage and divide them over chapters that have been pre-agreed with you to give you a bespoke wedding video with all the beautiful colour and atmosphere of your wedding. Why not add a new twist to the wedding day guest book tradition? 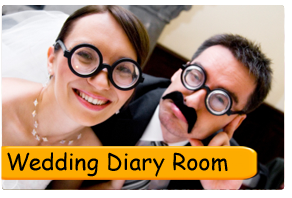 With a box of props and a camera on a tripod, your guests can record their video messages to you in a diary room style. The messages can make amusing and heart warming interludes on your final wedding video, or compiled on a single DVD. It is an easy way to not only entertain guests, but to immortalze the parts of the messages that are often missed in print! Film your own wedding packages from £575. All our packages include a consultation with our professional staff, who are also available over Skype in the run up and during the big event should you need an immediate response. 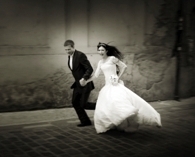 A great package supplying you with everything you need to film your own wedding video. Review your footage and decide whether to edit the footage yourself, or to upgrade and have us do the job for you. A great package for smaller budgets, giving you the opportunity to capture all the best bits from the day without breaking the bank. "Great Service the best DIY wedding videos are done by the you do the shoot team extremly HAPPY!!!!" "It was great to hire them for the wedding service ..... they have given more than we could have asked for"
Got an inquiry? Want to make a booking? Please feel free to give us a call or contact us via email. Alternatively, please fill in the enquiry form below and we will be in touch shortly to discuss all your wedding video needs. Are your cameras insured and how does it work? All the video cameras are insured for both yours and our peace of mind. There is, however, an excess of £250, which you are liable for if we should have to ever make a claim in excess of that amount. We assume there will be some wear and tear to the camera, weddings can be quite boisterous, but if it has been damaged by being dropped or knocked, it will need to be fully serviced and you would be liable for these cost as well as the cost to replace any missing equipment. We do everything within our power to make sure the video cameras are delivered to you in great working order. They are thoroughly tested with batteries fully charged before they are sent. Because they are delivered 2 days prior to the wedding day you will have ample opportunity to check them out. In the unlikely event there are any technical query’s not covered in our tutorial we are just a phone call away, or even better, a Skype call away so we are able show you exactly what you need you know. If in the worst-case scenario somehow the camera is damaged in transit on its way to you, we will ship out a replacement immediately. We use the Panasonic SD900, the best proconsumer video camcorder on the market.very easy to use and ideal to film your wedding with. Are the cameras easy to use? All are cameras are pre-set to auto which means all you have to do is point and shoot. They are designed for quick and easy operation they produce great quality footage. Even in low light they have 400mins of battery life and come with a directional mic on board, which is vital for good sound quality. To film you own wedding video could not be easier. Are my friends and family going to have a clue what to dooooo? Our tutorial will give you everything you need to shoot a great wedding video. There easy to follow and explains how to operate the cameras, what to film and best way to film it. The idea being. Not only do we shows you how to shoot a great video, we show you how to have fun while you are doing it! Plus, if you order our film it with us package. 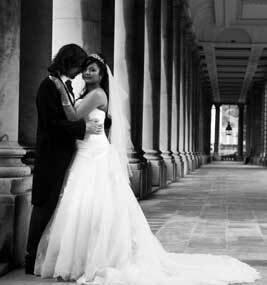 You get the security of having our professional videographer/cameraman-director with you on your wedding day. How long dose it take to get my finished DVD? Normally between 4 and 6 weeks depending on how busy we are, but sooner if possible. What is most important to us is that your finished DVD is not rushed and the entirety of your wedding is captured in all its glory. We do offer an express service for £135, which guarantees that the editing is completed within 8 working days. Can we choose the music used on our video? You can choose what ever music you like for your DVD and where you would like us to place it. A few weeks prior to your wedding we will send you a questionnaire covering music choice,wedding venue and names of all relevant friend and family which will be added to your video. What if the footage we have shot is no good? Most of us, at some time or other have used a video camera; we are all pretty familiar with the concept. The truth is there is not much difference between what you do on your holidays with your own camera, and what the pros do at a wedding. The main difference are the cameras themselves and remember we will be there on the day. The cameras we provide not only produce very high quality footage, they are incredibly easy to use. We are sure that once your allotted filmers have checked the tutorial and shot a couple of minutes of footage, their confidence will soar. Our advice is to choose people who will take the job seriously. How will you know what footage to use in my video? That's Our job,our experience has taught us what can and cant be used. We go through all the footage picking out all the key shots leading up to the wedding day, the arrival at the venue, vows, speeches and all those magic moments caught by you. That make your video funny and charming. That gives your wedding video real character. We also send you all the footage whether it was used in your finished DVD or not. Do you offer your services for any other events? If your event can to be videoed then we would love to get involved! Do you cater for Asian Weddings? 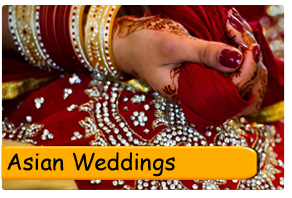 We do an Asian wedding package to cater for the extended duration of the pre wedding events. Check it out in our prices and packages page. Can we travel abroad with your cameras? No problem we deliver to your allocated UK address and you can take the video camera equipment abroad as hand luggage for your destination wedding video. The standard hire duration for are cameras is 4 days, if you want to extend this we charge £35 extra per day. How much does you service cost? 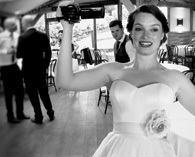 The standard, film your own wedding video package starts at just £475. For this you get all the camera equipment, including tripods, our tutorials and five fully edited and produced videos. For more details check our prices and package for a more detailed break down. Will you edit footage shot on our own cameras? If the footage is compatible with our editing set up, then there should be no problem. If you feel you would rather shoot the wedding video on your camera that’s OK with us. We charge £200 for the edit. I would just say that your average home video camera might not be up to the job, especially concerning the sound quality. Can you supply someone to shoot the wedding for us if required? Once I have made a booking what happens next? Once you have chosen your wedding video package and made your booking we will send you out a contract with our rental agreement attached you will need to scan or photo copy 3 forms of proof of address such as a drivers licence, passport, phone bill or utility bill. This is to cover the terms of our insurance policy. Please do not send us the originals. What kinds of payment terms are available? There is a 50% upfront payment due at the time of your booking, this secures your dates and videographer. The reaming 50% is due 3 weeks prior to your wedding day. Payments can be made via BACs or by credit card over the phone. With all the 1001 other things you have to think about we will send you a reminder 3 weeks before the big day. You contact us directly, this way we can answer any additional questions you may have, check availability and go through some of your event details. Copyright © 2019 You do the shoot. All Rights Reserved.